We’re wrapping up Autism Awareness Month by discounting collection of some of our bestselling products that are most essential to creating and running an ABA program. Use our promo code APRILABA this week to take 15%* off any of these these flashcards, token boards, Time Timers, books, and more! 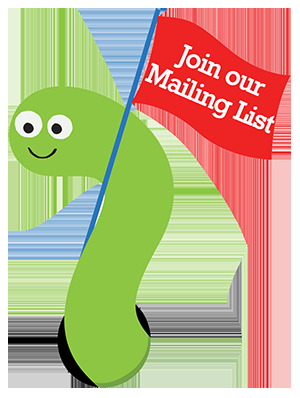 Don’t forget to mention or apply our code APRILABA when you check out! View the entire sale here. * Promotion is valid until May 3, 2016 at 11:59pm EST. Offer cannot be applied to previous purchases, combined with anyother offers, transferred, refunded, or redeemed and/or exchanged for cash or credit. Different Roads to Learning reserves the right to change or cancel this promotion at any time. To redeem offer at differentroads.com, enter promo code APRILABA at checkout. We’re thrilled to announce that the popular Time Timer Watch PLUS (Youth Size) now comes in new, bright colors! The Time Timer Watch PLUS allows you to visually see how much time has elapsed while simultaneously displaying the actual time. It has a sporty design and uses simple icons and a large display to ensure ease of use for all age and ability levels. This week only, take 15% off* your order of a brand new Time Timer Watch PLUS with promo code TIMER15 at checkout! Ideal for anyone who wants a discrete and portable visual timer, the Time Timer Watch PLUS is customizable: there are two Time Timer modes (Original 60 minutes and Customized), vibrating and/or audible alerts and repeatable time segments for interval training. There is also a 12- or 24-hour clock with one alarm. Water-resistant, the soft, silicon watch band measures from 4.75″ to 7″, making it perfect for children or adults with small wrists. The Youth Watch PLUS comes in bright, vibrant blue, green or berry and in charcoal. Watch the video below to see how the Time Timer Watch PLUS works! Don’t forget to use our promo code TIMER15 at check-out to save 15%* on your order of the Time Timer Watch PLUS (Youth Size). *Offer is valid until 11:59pm EST on April 14th, 2015. Not compatible with any other offers. Be sure there are no spaces or dashes in your code at check out! Our focus here at Different Roads to Learning is always on supporting the language and social skills in children on the spectrum through evidence-based interventions. We’re staunch believers in Applied Behavior Analysis and we’ve built our extensive product line around the tools that will best support these programs. As we continue to focus on Autism Awareness this month, we asked our BCBA Sam Blanco to choose five of her go-to resources and tell us a bit about why they’re integral components in her work. This week, we’re are also offering a 15% discount* on these five essential resources from our catalog. Be sure to use our promo code ESSABA5 when you check out online or mention it when you call us at (800) 853-1057. When you work with children with autism, you typically are focused on four goal areas: developing language and communication skills, improving social skills, increasing independence in both academic and daily living tasks, and addressing any maladaptive behaviors. While there are a wealth of resources available to help achieve goals in these areas, there are five resources I really can’t live without. VB-MAPP: The Verbal Behavior Milestones Assessment and Placement Program by Mark L. Sundberg, Ph.D. is essential. It’s easy to use, provides a wealth of information in a relatively short period of time, and allows you to prioritize the unique needs of your particular learner. Beyond the milestones assessment, I love that the VB-MAPP provides a way to assess and measure barriers to learning such as aggressive behaviors, prompt dependence, and defective scanning skill. Finally, as a special educator, it can be difficult at times to know how your student is doing compared to his/her peers in a general education environment. The Transition Assessment portion of the VB-MAPP allows you to assess and measure progress towards specific skills necessary for transitioning to a less restrictive environment. Language Builder Picture Cards: After the VB-MAPP, these cards are the first investment you should make if you’re working with learners with autism. They are designed to help you teach a wide range of skills including receptive language, expressive language, matching, sorting by category, and identifying feature, function, and class. I use these cards to play games with my learner to practice prepositions (such as hiding a card picturing a frog and having the learner find it by listening to directions like “the frog is under the pillow.”) I also use the cards as prompts for a “What am I thinking of” game. For this game I can look at the picture, then give the learner clues so he/she can guess what I’m describing (such as “I’m green. I have four legs. I hop.”) I then trade turns, and the learner has to look at a picture and provide clues for me to guess what is pictured. All in all, the Language Builder Picture Cards provide so many opportunities for language development you’ll never regret the investment. Time Timer: I love the Time Timer so much that I actually own the 3-inch, 8-inch, and 12-inch models. For young learners, the clear visual indicator of the passage of time helps prepare them for transitions, complete transitions with greater levels of independence, and begin to understand the passage of time. Older learners use it to manage their time better during tasks, regulate their own behavior, and increase independence in both academic and daily living skill tasks. For all students, it helps facilitate a better understanding of the concept of time. When I taught in the classroom, I used the 12-inch model so that it was clearly visible for all students. I love the 3-inch model for older students who still need the visual tool. A Work in Progress: When I first began teaching learners with autism, a colleague recommended A Work in Progress to me, and I have come back to it again and again over the years. It provides strategies and a curriculum for addressing the needs of learners with autism, including topics such as self-stimulatory behaviors, sleep problems, eating problems, toilet training, and social play. Most importantly, it describes how to meet the needs of learners with autism in language that is accessible. The curriculum portion of the book describes in detail what a teaching session should look like and how to run discrete trials. It also provides comprehensive instructions for dozens of programs. Verbal Behavior Targets: Unlike A Work in Progress, this book is not a curriculum, but, as Luckevich states in the introduction, a guide to selecting targets “to meet the unique language goals of each individual child.” Verbal Behavior Targets provides hundreds of targets for each stage of language development (split into 6 chapters: words; multiple words; instructions and questions; sentences; category, feature, and function; and conversation topics. I know there have been many moments in the past, especially when I was first starting out, in which my learner would master a target skill and I would struggle to come up with additional targets. This book helps you continue to push your learner towards independence by providing a vast number of targets in developmentally appropriate sequence. And did I mention she also included data sheets? As a therapist, finding quality teaching resources can be challenging. There are so many products to choose from and the choice and cost can be overwhelming. The items described above are not only high-quality, but are essential to providing the best possible learning environment. Investing in a few versatile, solid products saves you money over the long term, makes both teaching and prep time more efficient, and helps provide a vast range of possibilities for student learning. This week only, you can save 15%* on any of these products on Sam’s list of 5 essential ABA resources by using promo code ESSABA5 when you check out online. *Offer expires at 11:59pm ET on April 22, 2014. Not valid on past orders or with any other promotions and offers. Be sure there are no spaces or dashes in your code at check out! You’re probably all familiar with the excellent Time Timer. These visual timers have been a staple at home and in classrooms for students with special needs for years now. 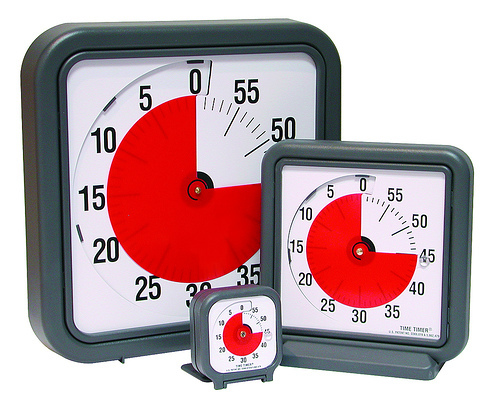 This week, save 15% on all three sizes of the Timer Timer: 3-inch, 8-inch and 12-inch. The Time Timer is ideal for transitions, scheduling, getting ready and so much more. Save 15% on the Time Timer today through April 5 by entering the promo code BLOGTTR at checkout. *Offer expires on April 5, 2011 at 11:59 pm EST. Not compatible with any other offer. The timer is one of everyone’s favorite tools for structuring time and activities for children with autism. It can be incorporated into all parts of daily living. It was once explained to me that a parent could blame the timer for everything that has to do with transitions. “I know you want to stay in the playground but the timer said it’s time to go home.” Or perhaps, “The timer thinks you might have to go to the potty again.” My favorite at Christmas is, “The timer will tell you when you can open another present.” At our house, the timer was the higher authority. The timer is a fair arbitrator. It didn’t respond to whining or behaviors and it very coolly and serenely had to be obeyed. It works! You just have to remember to put it in place and use it before you enter the big struggle of wills. It’s just a simple kitchen timer….BUT we needed one that could count down and count up, it had to have a magnet so it could be easily found on the refrigerator and a clip/stand so one of us could wear it or place it close to us at the table if we were working. Along the way, we found the Time Timer, invented by a mom of mainstream kids who needed a visual for transitions to stop her kids from asking, “Are we there yet?” The Time Timer is a visual depiction of time elapsing. Kids on the spectrum have a tangible way to see time passing as the red dial disappears. There are all kinds of timers, and implementing them into any aspect of the day can significantly help in cutting back problem behaviors and anxiety over what is happening next.